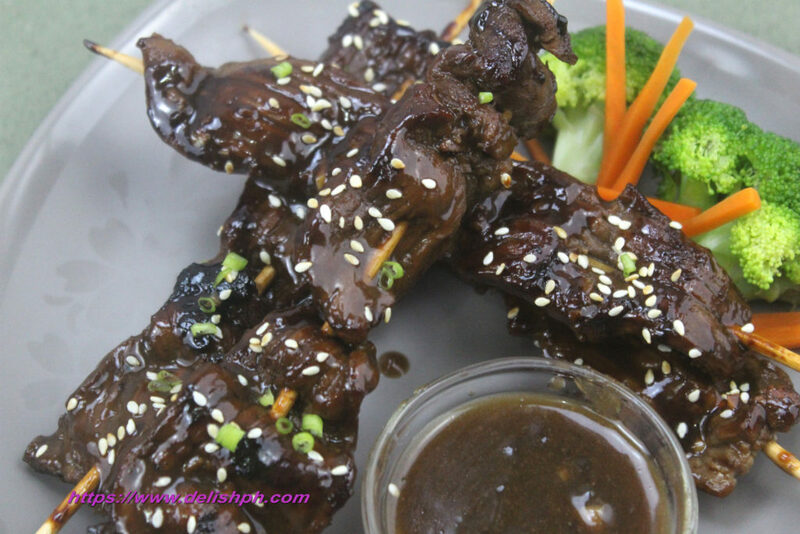 If you love barbecue and beef teriyaki, then this Beef Teriyaki on Sticks is the recipe for you. 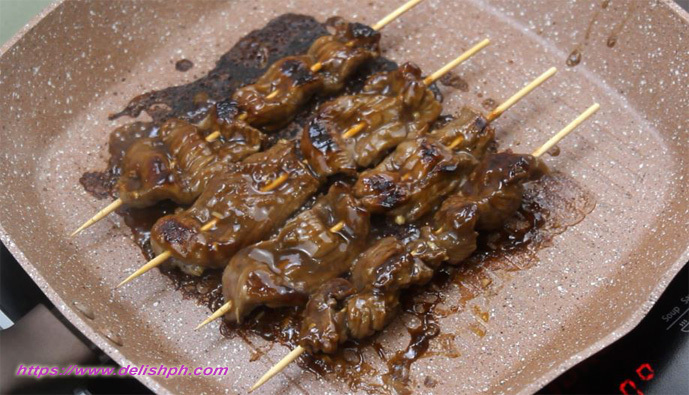 Beef teriyaki is such a delicious beef recipe, and guess what, grilling it will make it absolutely delicious. Prepare this at home and your loved ones will definitely love it. 1. In a bowl, combine in all the ingredients for the marinade. Pour in the rice wine, soy sauce, sesame oil, brown sugar, garlic, ginger and season with salt and pepper. Add in the beef strips and marinate for about 3 hours or overnight. 2. Take out the marinated beef and put them on the skewers. Probably two strips in a stick. 3. Heat a pan and pour in the marinade left in the bowl. Add in the remaining soy sauce, vinegar, brown sugar and season with salt and pepper. 4. Pour in the cornstarch dilluted in water to thicken the sauce. Set aside. 5. Heat the grillpan. (Get your own grill pan here) Start grilling the beef on sticks. Brush some sauce on each side gradually until cooked. 6. Place by drizzling some roasted sesame seeds and green onions. Beef teriyaki is such a great dish. Just to give a bit of a twist, I had them on sticks. Something that my family would really love. I am using a grill pan on this one, but you can use the traditional grilling with charcoal. It would taste awesome. If you have any question about this recipe, drop a comment below or send me an email.